Allen Grossman, who taught for 30 years at Brandeis University and for 15 years at Johns Hopkins University, died at 82 in Massachusetts from complications of Alzheimer’s disease. Allen Grossman was the recipient of numerous awards, including a Guggenheim Fellowship; a MacArthur Foundation Fellowship; the Witter Bynner Prize for Poetry of the American Academy and Institute of Arts and Letters; and Yale University’s Bollingen Prize. In 1993 he was elected Fellow of the American Academy of Arts and Sciences. Allen Grossman’s many books of poetry include The Woman on the Bridge Over the Chicago River (1979); Of the Great House (1982); How to Do Things With Tears (2001); Sweet Youth (2002) andDescartes’ Loneliness (2007). His collection The Ether Dome and Other Poems: New and Selected (1991) was listed in the critic Harold Bloom’s 1994 compendium of indispensable literary works, The Western Canon: The Books and School of the Ages. Allen Richard Grossman was born in Minneapolis, where his father operated a Chevrolet dealership and his mother once ran her own lending library. He received his BA and MA from Harvard University and his PhD from Brandeis University, where he taught poetry, poetics, and general courses in the humanities from 1957-1991. At Johns Hopkins, where he served on the faculty as Andrew W. Mellon Professor of the Humanities from 1991-2006, Grossman was a charismatic teacher, beloved by generations of students. His astonishing classes and his unstinting generosity with his time, his ideas, and his attention to students’ work and their well-being changed people’s lives. 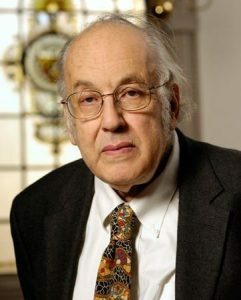 Allen Grossman’s willingness to be present and truthful under difficult circumstances was the basis of his great capacity for friendship, and of his wisdom as a colleague. He will be remembered with love by all in the Hopkins community, past and present, who knew him. Grossman’s poems often return to solitude and to the premonition of death (that “deepening of solitude…the half-dark at the end of our time”), but he regarded poetry (“words for another”) as consolation. At the end of Descartes Loneliness, he wrote: “Poets are persons aware of aloneness and competent to speak in the space of solitude—who, by speaking alone, make possible for themselves and others the being of persons, in which all the value of the world is found.” In addition to his poetry, Allen Grossman wrote widely on poetics and valuing. His selected prose includes The Sighted Singer (1992); The Long School: Lessons in the Bitter Logic of the Poetic Principle(1997); Against Our Vanishing: Winter Conversations with Mark Halliday (1981); and True Love: Essays on Poetry and Valuing(2009). In his critical prose Grossman thought in the most capacious way about hard problems. One can hear this in the titles of his essays, for instance, “Teaching Literature in a Discredited Society” (on the false innocence of the Humanities when it dissociates itself from politics), or “Holiness” (which for Grossman was neither a solace nor a promise, but rather a problem that establishes the necessity of a certain kind of work). His writing identified topics one barely knew existed, as for instance, an essay on Hart Crane’s “intense poetics” in which Grossman considered not simply the meaning of certain poems, but more fundamentally the sufficient conditions for poems to have meaning at all. In excavating topics like these Grossman, changed the way it was possible to write about poetry. Allen Grossman is survived by his wife, the novelist and short story writer Judith Grossman; their three children, Bathsheba Grossman, Austen Grossman, and Lev Grossman; and by two children from a first marriage, Adam and Jonathan Grossman. Read the obituary on the Hub.